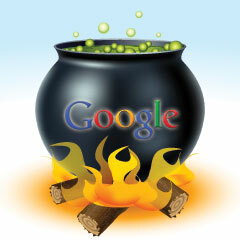 Home > Google News > Google Updates > Google Update Happening? Maybe Panda About To Kick Off? Google Update Happening? Maybe Panda About To Kick Off? Yesterday we reported about weekend chatter that was so low that I called it the Google cricket update. But starting yesterday afternoon, that chatter in the SEO community spiked significantly. Meaning, I am seeing signs of a possible Google update based on the vast number of webmasters and SEOs saying the rankings have changed. But I honestly don't think it is Panda. My Panda expert sources (I have a few) are telling me they see no movement, plus the forum chatter doesn't really show Panda yet. The folks at WebmasterWorld in two different threads and the folks at Black Hat Forums in two different threads are discussing a possible update. Some are saying Panda, but others are saying not so. Some are seeing ranking changes, some are seeing huge shifts in crawl rates. We are observing some ranking movement across a wide range of our client base. Some more violent than others. I am, as of yet, not found a common denominator for the most unsettles sites. I think it may be a tad too early to point fingers at any Pandas just yet but with the recent chatter its a strong possibility. I'm seeing shifting that smells like a panda. I have been noticing the same. Maybe it is the panda update we heard about a while back? I know we are expecting a Panda update soon but if this was it, I'd expect it to be way larger. So maybe Google is testing something or not? I am not sure. The Google tracking tools like Mozcast, SERP Metrics, Algoroo and a new one named SERP Watch show changes - mostly yesterday. SERPs.com hasn't updated for yesterday yet, although neither has Mozcast. One thinks it might be mobile related only but I am not sure. Normally Panda updates don't happen until Fridays based on my experience. Forum discussion at WebmasterWorld and Black Hat Forums. Postscript: Google told me this is not Panda but lots of people are noticing changes, although it isn't Panda related - Panda sites are not reporting many changes. See our update over at, it wasn't Panda, Penguin or HTTPS, it was core search.